Candidates should ensure that in Paper II they write the answers only in the medium allowed by the Commission for the different Components as mentioned above. No credit will be given for answers written in a medium other than the one allowed in the Paper. 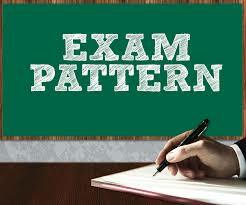 Candidates will be required to indicate the medium of Essay Component in the Attendance Lists and on the Answer Book. No credit will be given for the Essay Component if the candidate indicates a medium on the Attendance List and on the Answer Book other than the one in which he/she has written the Essay. There will be minimum qualifying marks separately in each Paper as may be fixed by the Commission in their discretion. Paper-I will be evaluated first and evaluation of Paper-II will be done only of those candidates who obtain the minimum qualifying marks in Paper-I.